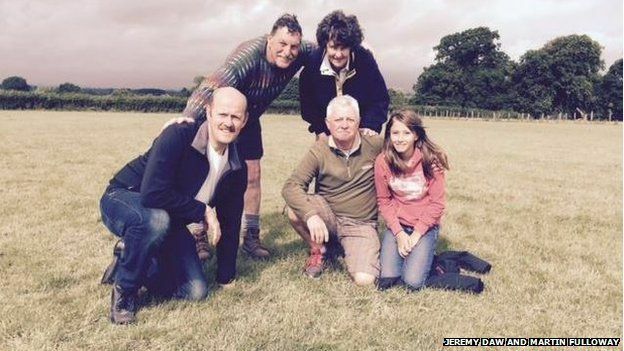 Leominster Roman coin hoard unearthed by a pair of Herefordshire metal detectorists. 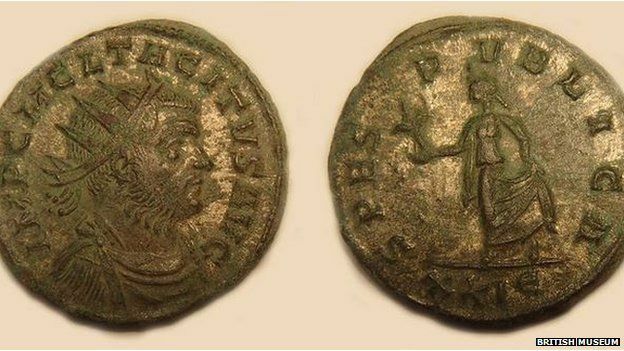 The British Museum has revealed a hoard of more than 500 Roman coins was found by two metal detector enthusiasts in a Herefordshire field. The 518 mixed copper coins, found near Leominster, had been placed in cloth bags and hidden in the ground in a leather satchel. 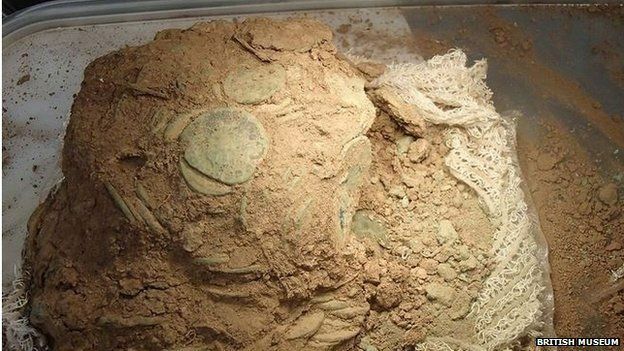 Experts believe the coins were deliberately buried. The British Museum said it was very rare to find hoards so well-preserved. The hoard was found in July 2013 by paramedics and metal detector enthusiasts Jeremy Daw and Martin Fulloway. The news of the find has only just been made public by the British Museum. Mr Fulloway said four of the coins were stuck to a stone, while others were in the loose soil. Mr Daw said the coins were possibly buried during a time of unrest in the Roman empire. The earth was x-rayed at Birmingham Museum and Art Gallery and then examined by the British Museum. The coins range from from AD 260 to circa 290 and include eight coins of the Britannic Empire. The hoard was declared treasure trove in June by the Hereford coroner and will now be valued by the British Museum. The value will then be shared with the two finders, landowner and Hereford and Leominster Museum. Peter Reavill, a finds officer for the British Museum, said that this is one of the best-preserved coin hoards I have seen. He said he hoped funds would be raised to keep the collection in the county.